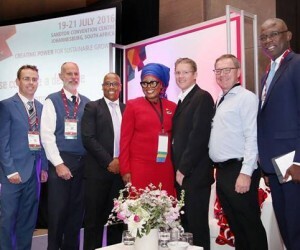 The decentralisation of power generation and distribution, and hybrid models that put some power sector control into the hands of private entities, were among the long-term African power solutions proposed at the annual African power sector conference and exhibition, POWER-GEN & DistribuTECH Africa, in Sandton last week. Speaking at the closing panel discussion entitled Visions for Africa's Power Future, industry experts and delegates noted that Africa had an energy paradox in which the continent had abundant natural power resources but a lack of infrastructure to meet surging demand for power. They cited comments by Public Enterprise Minister Lynne Brown, who said at the opening of the conference that Africa’s electricity deficit was alarming, and remained one of the biggest barriers to development and prosperity. Participants agreed that Africa’s rich gas, solar, wind, hydro and geothermal resources had to be harnessed and added to the energy mix in a sustainable way, and that greater private sector participation in the sector had to be encouraged. Moderator Gareth Gregory, Africa Head, Strategic Energy and Client Delivery at Energy Security Services Africa, said he believed Africa’s power sector might be in the same position India’s IT sector was 30 years ago; and had the potential to turn the situation around in the same way as India has sparked a booming IT industry. Panellist Dawie Roodt, Chief Economist at The Efficient Group, said that power generation, distribution and pricing models should be handed to more private sector players to make vital electricity supplies more competitive. It was not necessary for governments to deliver services like power or mobile telecommunications, he contended. “In a digital economy, centralisation is becoming outdated,” he said. He said governments should focus on regulating the power sector effectively and creating an enabling environment for private investment. However, Olasupo Shasore SAN, Partner at Ajumogobia & Okeke in Nigeria, noted that legal frameworks had to be in place to effectively support new hybrid models. “We need to see further unbundling legislation across Africa to support increased investment and participation by the private sector,” he said. Conceding that full privatisation of national power utilities was unlikely in the foreseeable future, delegates participating in the discussion said hybrid systems, in which independent power producers and utilities both contributed to power generation and distribution, were likely to emerge as a solution to Africa’s power shortfall in the short to medium term. The delegates also noted that significant deficit reductions could be achieved with better demand-side control, reducing the amount of power that would be needed on the generation side. Amos Hadebe, Director: Government & Regulatory Affairs – Africa at Honeywell, said regional integration would present opportunities to aggregate the market and attract investors. “But to achieve this, we need regional interoperability and harmonised standards,” he said. 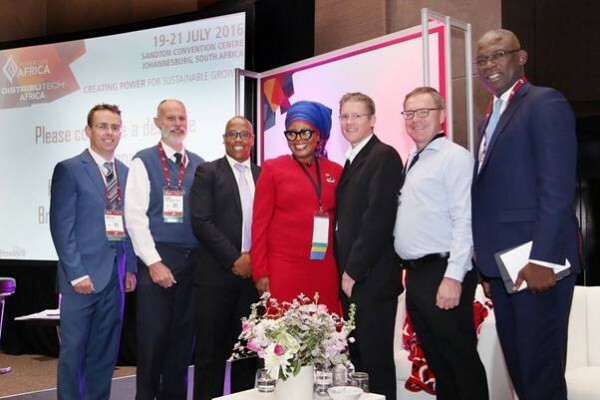 The fourth annual POWER-GEN & DistribuTECH Africa conference and expo was hosted by PennWell Corporation, in collaboration with host utility Eskom at the Sandton Convention Centre last week. The event, attended by over 3,000+ pan-African and international power industry stakeholders, was themed ‘Creating Power for Sustainable Growth’, and showcased strategies and technologies for advanced power generation and distribution. The main conclusions and recommendations of the closing panel debate will be reviewed at the conference in 12 months’ time and will form the basis for further evaluation and policy recommendations. POWER-GEN Africa & DistribuTECH Africa 2017 will return to the Sandton Convention Centre, Johannesburg, South Africa from 18-20 July 2017.